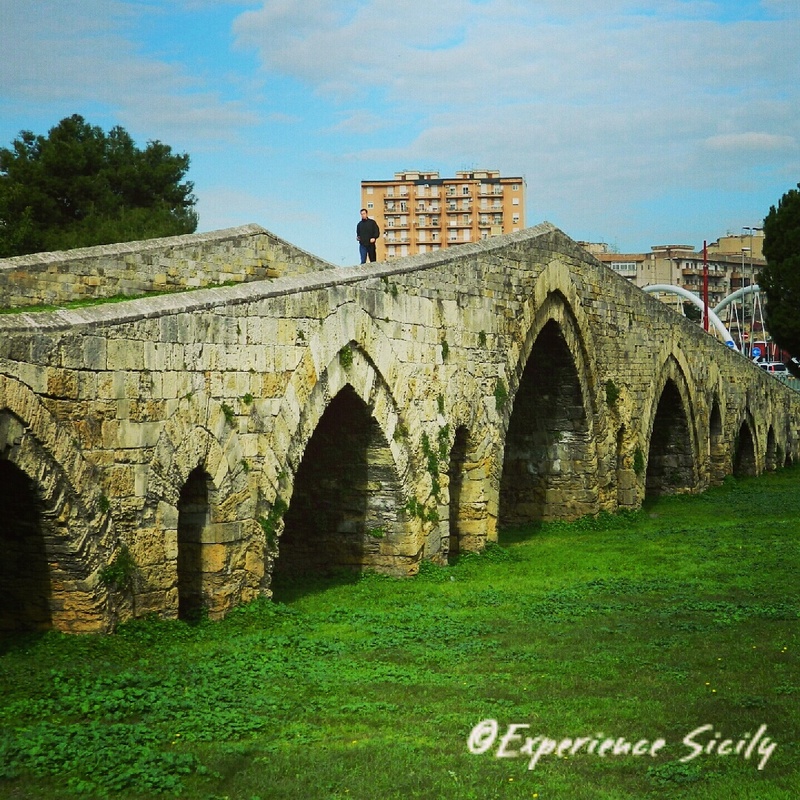 This seven-arched bridge once crossed the Oreto River (now dried up or relegated to flow underground) on the south-east side of Palermo’s historic center. Known as the Ponte dell’Ammiraglio, or Admiral’s Bridge, it was built in 1113 by Roger II’s emir of emirs, George of Antioch. Today, this wonder of Arab-Norman architecture sits in a piazza encircled by the Corso dei Mille, or the Path of the Thousands, named so because it is the place where in May 1860 Garibaldi’s Red Shirts (There were thousands of them.) encountered Bourbon troops during the Risorgimento’s battle of Palermo. The Admiral’s Bridge was named part of the “Arab-Norman Palermo and the Cathedral Churches of Cefalù and Monreale” UNESCO World Heritage site in 2015. The new tram system of Palermo will be centered around this piazza… and there is a very modern bridge right next to this ancient one… fascinating to see! Oh how cool!! I can’t wait to visit! Been there. Worth walking across, just for the history! Absolutely! And to see how the city as grown around it over the centuries.